“The wise man saves for the future, but the foolish man spends whatever he gets." (Proverbs 21:20 TLB). 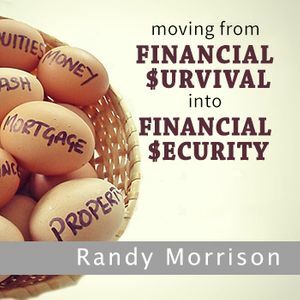 To move out of financial survival into financial security, a person’s relationship to money must go beyond just earning money and spending money. Financially wise refers to a person’s ability to handle and use money to their advantage. The wise know how to deprive themselves of present gratification to create a better future. The ability to control money and makes solid mature decisions. Whenever we say yes to a command from God, our future is guaranteed. Miracles are instant-for the moment-but blessings are generational. We can pass on a blessing or inheritance to the next generation; however, a miracle stays with us forever.